This books aim is to provide veterinary practitioners and trainees with a concise, systematic guide to all medical and surgical aspects of urological diseases and disorders affecting dogs and cats. The author focuses first on assessment of the patient and the main investigative techniques used to reach a diagnosis. 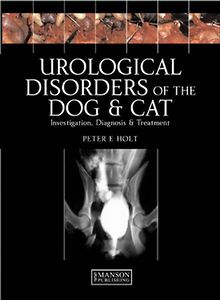 He then deals with the differential diagnosis, causes and treatment of conditions ranging from prostate disorders and trauma to all types of urinary incontinence and urethral sphincter mechanism incompetence. The book is fully referenced and illustrated throughout by colour photographs, imaging, and diagrams of the highest quality.